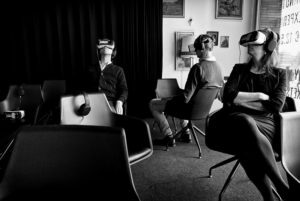 This month, Samuel Tomczyk invites us to take the plunge into his research area of virtual reality, and debunks some of the main myths surrounding its everyday application and its potential use for prevention research. Whether this should be limited to ‘lab work’ is the question asked by the author: virtual reality can provide invaluable training for dealing with the most precarious situations, but is it truly replicable? In behavioural prevention, practical implementation of behavioural strategies is indispensable. The greatest theories are bound to fail when they are not applicable to the respective scenario. Often enough, promising interventions and preventive trials were successful in their first, rigorously planned and controlled trial, but did not produce similar results in subsequent roll-outs. One could argue that the process of implementation and further maintenance of target behaviours may be too complex to fully grasp or theoretically predict based on singular observations. However, there is a way to compare multiple behaviours and make theoretically relevant adjustments without having to resort to expensive and time-consuming study processes each time: welcome to virtual reality! Through an audio-visual journey, people are able to experience different settings, explore unique landscapes and try out diverging behavioural strategies – in a short amount of time with no direct real-life consequences. Gamers and sceptics alike may yawn at the thought of yet another scientific discovery that – although having been praised as “the next big thing” almost thirty (!) years ago – has failed to capture the global population at large, and does not fit very well into everyday life. Starting with its high costs, its intense software production, and its dependence on high-performance technology, there seems to be a plethora of downsides. However, research on virtual reality already has some decades under its belt, therefore it is time for a short review and an encouraging outlook by addressing common myths and beliefs. Like all new technologies, virtual reality devices started out at seemingly exorbitant prices. People, who would have liked to use it or might have benefited from it, were not able to afford it. And those that could afford it either had no interest or found it to be rather frustrating given that early models were quite limited in their functionality. However, with increasing market value, several different options arose and with it lower costs. Today, a virtual reality device is as expensive as a new smartphone or tablet. Sure, being an expert in virtual reality technology or application does not happen overnight. However, although not entirely self-explanatory, there are lots of websites and providers to get started in virtual technology, meaning programming, reading and writing basic code, and so on – and are in most cases even free of charge (e.g., Unity: https://unity3d.com). In addition, there are multiple companies that offer (scientifically developed) software solutions for virtual reality scenarios, such as flight simulators, natural hazards, and virtual bars or classrooms. Multiple studies on virtual reality-based psychotherapy show that virtual reality is often as effective as face-to-face therapy, [1-4] although there are some open questions regarding other areas of health science and methodological issues with building and reporting on the virtual reality system . In prevention, virtual reality applications have been shown to improve coping skills, experiential learning, and to positively influence regulation of emotion [6-8]. In turn, these skills can help to prevent (mental) health problems, such as depressive disorders [9, 10]. Having listed some of the benefits of virtual reality, I would like to introduce an interesting area for virtual reality-based prevention research, namely disaster and crisis prevention. Clearly, virtual disasters such as earthquakes, hurricanes or firestorms are much less destructive and easier to control and manipulate than real ones. In addition, modification allows for creative control over intensity, damages and behavioural options within a predefined setting. Today, even children are taught emergency courses through virtual technology . However, when it comes to natural and technical hazards and disasters, it is less clear whether the immanent dangers of the situation can be conveyed as convincingly considering that the avatar can simply respawn if the virtual attempt at rescue or safety behaviour fails – leading to horrendous, albeit virtual, consequences. While virtual reality training improves coping skills for anxiety-ridden situations in phobic patients, one should question whether a similar effect is to be expected for grave situations, in which there is more at stake, and pressure may be even higher. It is possible that virtual disaster trainings overestimate the actual competency and performance in real-life applications. 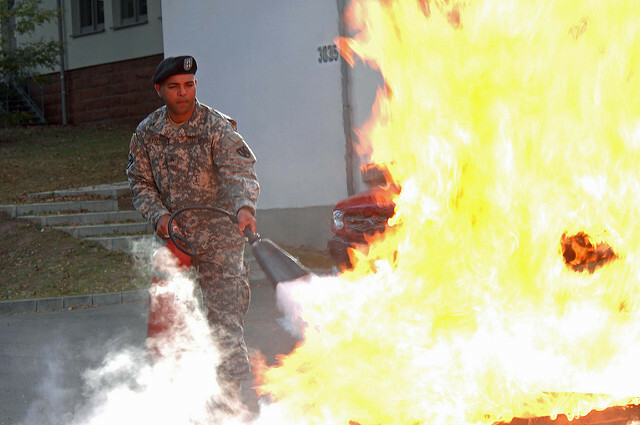 Trained personnel are surely able to fight fires “the right way” – but does this apply to non-professionals with virtual reality training, as well? And even if we are able to realistically test (and let us say improve) safety behaviour and skills in a natural hazard, who is to say that these tests are an accurate representation of the crisis situation? It is an old aphorism that one’s results are only as good as one’s measures. And yet, virtual environments tend to simplify external reality in order to experimentally control it. Or the other way around – by adding virtual clues and interactive patterns outside of realistic scopes, the virtual environment becomes more challenging, but also less practical. There is no harm in enjoying and challenging the boundless possibilities of the virtual, but one must continue to be aware of its shortcomings and the external boundaries that practical research sets for experimental ambitions. The beauty of virtual reality is: if it does not work, you can easily try again. Cardo, R.A.I., O.A. David, and D.O. David, Virtual reality exposure therapy in flight anxiety. Comput. Hum. Behav., 2017. 72(C): p. 371-380. Morina, N., et al., Can virtual reality exposure therapy gains be generalized to real-life? A meta-analysis of studies applying behavioral assessments. Behaviour Research and Therapy, 2015. 74: p. 18-24. Opriş, D., et al., Virtual reality exposure therapy in anxiety disorders: a quantitative meta-analysis. Depression and Anxiety, 2012. 29(2): p. 85-93. Powers, M.B. and P.M.G. Emmelkamp, Virtual reality exposure therapy for anxiety disorders: A meta-analysis. Journal of Anxiety Disorders, 2008. 22(3): p. 561-569. Freeman, D., et al., Virtual reality in the assessment, understanding, and treatment of mental health disorders. Psychological Medicine, 2017. 47(14): p. 2393-2400. Bosse, T., et al., Towards virtual training of emotion regulation. Brain Informatics, 2014. 1(1-4): p. 27-37. Bouchard, S., et al., Virtual reality and the training of military personnel to cope with acute stressors. Advanced Computational Intelligence Paradigms in Healthcare 6. Virtual Reality in Psychotherapy, Rehabilitation, and Assessment, 2011: p. 109-128. Le, Q.T., A. Pedro, and C.S. Park, A social virtual reality based construction safety education system for experiential learning. Journal of Intelligent & Robotic Systems, 2015. 79(3-4): p. 487-506. Garnefski, N., V. Kraaij, and P. Spinhoven, Negative life events, cognitive emotion regulation and emotional problems. Personality and Individual Differences, 2001. 30(8): p. 1311-1327. Silk, J.S., L. Steinberg, and A.S. Morris, Adolescents’ Emotion Regulation in Daily Life: Links to Depressive Symptoms and Problem Behavior. Child Development, 2003. 74(6): p. 1869-1880. Smith, S. and E. Ericson, Using immersive game-based virtual reality to teach fire-safety skills to children. Virtual Reality, 2009. 13(2): p. 87-99. Dr Samuel Tomczyk is a postdoctoral researcher on prevention in civil protection at the University of Greifswald, Germany. Samuel completed his doctorate in Psychology at the University of Kiel, focusing on multiple substance use in adolescents. In addition to his research, he has worked on the development, implementation, and evaluation of school-based prevention projects. His main interests include health across the life span, substance use, and methodology in prevention research. Samuel is the new EUSPR ECF Lead and began his duties in September 2017. This entry was posted in Field, Media use, Mental health (e.g. depression), Samuel Tomczyk and tagged Read more by EUSPR Early Careers Forum. Bookmark the permalink.